Disclaimer – Wayne Judge is an experienced and respected spearo and freediver however this article about Spearfishing Lung Squeeze is written to raise awareness and not to take the place of specialist medical advice or other expert directives. If you suspect lung or trachea squeeze please seek expert medical advice. The lung or trachea squeeze has usually been the concern of competitive free-divers. 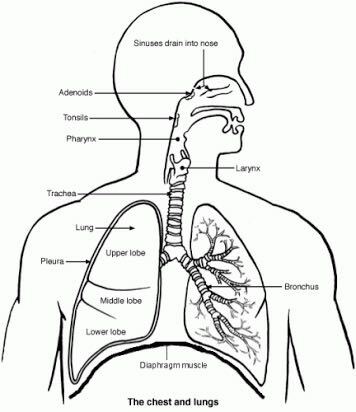 It occurs when diving deep and the increased pressure compresses a lung full of air down to less than the residual volume, the residual volume being the volume of air remaining in the lungs after a complete exhalation. At some point on the descent the volume of a full breath will become smaller than the diver’s residual volume and this creates a minus pressure in the lung and trachea areas, predisposing the diver to a tear of the lung or trachea tissue or just the bursting of blood vessels. The diver with such a squeeze, surfaces coughing up blood, sometimes not a lot, sometimes no noticeable blood but a distinct discomfort and shortness of breath. The point where minus pressure occurs differs from diver to diver, depending on individual conditions, for example: the diver’s overall lung volume; his residual volume; whether the diver is diving with full lung capacity or is diving with less than full capacity as in passive exhale dives. Another major factor is the abilities and physical condition of the diver. A diver who is well stretched and supple will be able to counter the effects of pressure at depth. The final factor dealt with here is the diver’s activity at depth. Undue stretching, reaching out, and chest contractions whilst under pressure can cause these squeezes. In the scenario where the diver takes a breath and dives, his full lung volume shrinks due to increased pressure, and at some point it will become less than the his residual lung volume. As he descends further that lung volume continues to decrease creating a minus pressure. If he is a relaxed and well stretched diver, the body will compensate this negative pressure in various ways, probably the most noticeable is the abdomen pulling up into the chest cavity. If the diver doesn’t over-exert himself and has the ability to forestall lung contractions or is sufficiently warmed-up that his contractions are milder, the prior training and stretching will have paid off and he won’t experience a squeeze. However, if one or more of the above is not handled well, the diver may well develop a squeeze. For example, the diver is diving in waters much colder than his usual. This temperature difference causes him to tense up, and his prior training to compensate the negative pressure through being supple is sabotaged by his tense abdominal muscles. Compounding this, divers more readily develop automatic breathing contractions in colder waters. Add all this together and it is a sure recipe for a lung squeeze. The conditions may not even be so dramatic, the diver may just reach out further than he should. At greater depth, even the stretching of the neck by lifting the head can cause a squeeze. Through conversations over the last few months, there have been spearfishers developing lung or trachea squeezes. It is surprising that many of these squeezes have occurred in depths where the lung volume is not less than the residual volume. As residual volume varies from individual to individual, so does the depth where this occurs, but usually its deeper than 30m. This debunks any preconceived idea that a minus pressure needs to exist in the lungs before a squeeze can develop. The usual scenario involved some vigorous movement at depths more than 20 meters, for example wrenching a speared fish out of a cave. Upon surfacing or shortly after, a discomfort is felt in the chest or trachea and blood appears in coughed up mucus or even small amounts in saliva. The chest is often congested at this point and the diver may feel unduly tired. The percentage of spearos developing lung squeezes may be unchanged from the past, but because there has been no survey this cannot be determined. However, due the sport expanding fast and with many divers connected to social media, talking about their exploits, the incidence is more likely to be higher in recent times. We are seeing less experienced divers progressing fast to deeper waters, faster than the body can easily tolerate. Although some time ago in NSW, I did come across a spearo who had developed a squeeze, these recent cases were amongst divers in the South East Queensland area, namely Brisbane, Sunshine Coast and Gold Coast/Tweed. There are some great fish potentially available for the Brisbane spearos, probably because of the latitude of the area and the mixture of tropical, and subtropical marine life. However many quality species require a deeper diver. From my contact of divers on the East coast of Australia, Brisbane spearos are some of the hardest working. This would open the door to increased lung and trachea squeezes especially in less experienced divers. It is my experience that a diver with a lung squeeze should cease diving for a few weeks, letting the body heal without further stress. It can only be good advice to seek a trained medical opinion but because so little real scientific study has been done on freediving, you may find their advice is to give up diving. This was the suggestion in one case. However lung squeezes have been successfully handled with care and divers have been able to continue pursuing their passion. When diving is resumed, stay shallow, less than 20 meters for a few weeks or a few months depending on the severity and gradually build back up. These measures have worked. However when one rushes back to depth too soon, recurring squeezes result and this could become a serious health problem, if not now, then later in life with the formation of scar tissue. If a squeeze does not heal easily or continually recurs, see a specialist. The above is based on my experience as a diver and not based on any medical training. One can avoid spearfishing lung squeeze by diving smart. At the beginning of a freediving or spearfishing lifestyle, do not progress deep too fast. By statistics the majority of squeezes in spearfishers were in the first few years of diving. When diving deeper than 20 meters avoid any sudden motion or stretching, especially across the chest and neck areas. It just means as you get deeper, so must you discipline yourself to less of this type of activity. If you are prone to strong contractions, wait till you have warmed up through some shallower dives, as this often reduces their severity. There are exercises done by freedivers to stretch the muscles etc. and render the diver more able to handle the effects of pressure. These shouldn’t be attempted without an experienced coach, and definitely not just taken off the internet as there have been some dangerous practices promoted. Find a freediving instructor who has done some serious depth, then start your stretches light and gradually increase whilst under coaching.